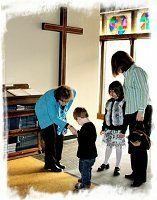 We invite you to find us and to find your place in the body of Christ at St. Paul Lutheran Church. If you are new to the area or from out of town please use this map to help find your way to God’s house. Come, join us for worship as we celebrate God’s redeeming love with praise and thanksgiving. Come, join us and grow in Christ through the study of God’s Word.